The Harlem Globetrotters were founded in 1927. How long had basketball been around at that point? Basketball was founded by the YMCA — the Young Men’s Christian Association — in the 1890s, largely because the number of men and boys attending church had started to decline. Church leaders wanted to find ways to teach Christian values, ideas, and norms. 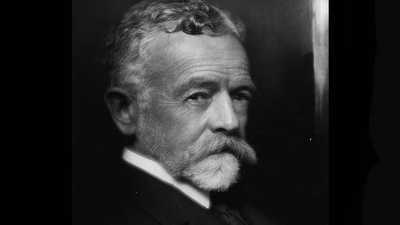 The game was invented to create a space attractive to men and boys where those values could be shared. There were some African American-focused YMCA buildings that opened in the early 1900s, and African Americans started playing basketball very early on. For those men, playing basketball was often a way to challenge racism and identify themselves with those middle class Christian values associated with the sport. 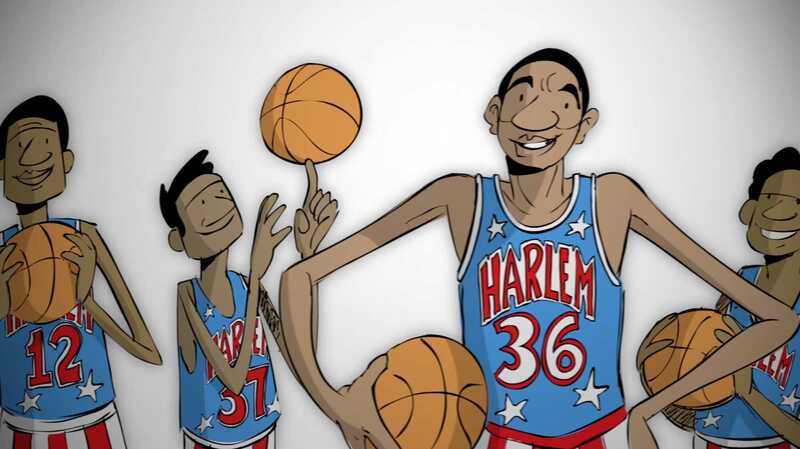 Who were the original Harlem Globetrotters? The first group of Harlem Globetrotters were graduates from Philips High School in Chicago. Most people don’t realize that the Globetrotters weren’t actually from Harlem. But as the team started to travel throughout the Midwest, playing teams in Illinois, Iowa, and Wisconsin, they wanted their opponents to know that they would be playing against African Americans. Harlem had become identified with the black community after the Great Migration, when millions of African Americans moved from the South to the urban Northeast. So the Globetrotters added “Harlem” as a way of identifying themselves as an African American team. Who did they play against in the early days? There wasn’t a formalized professional league at the time — the NBA was not founded until 1950. So when the Globetrotters started playing in 1927, they were just barnstorming, traveling and playing local teams — both black and white. The other most famous barnstorming teams from the ‘20s were the Original Celtics and the New York Renaissance. 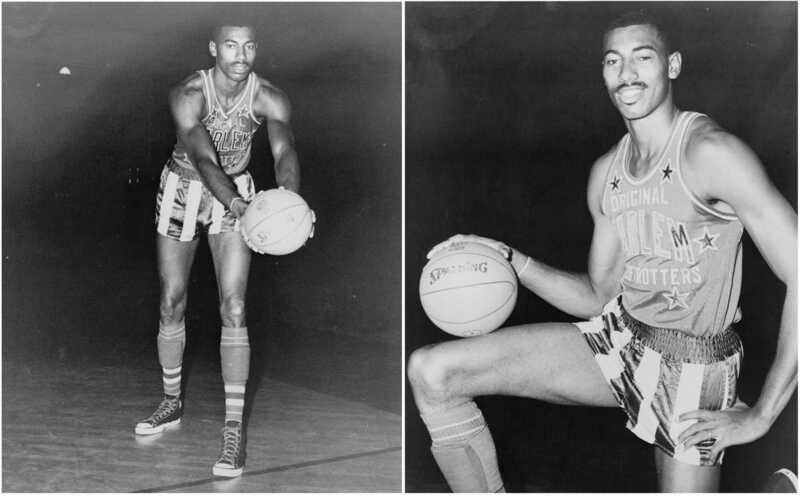 The Globetrotters toured the country in an era of segregation. Who was in the audience and how did they react? Usually, the Globetrotter games were not integrated, particularly in the South. They would play games for black audiences and games for white audiences. It’s important to remember that by the early 1940s, most people who played basketball could barely dribble the ball. So to see this remarkable feat of ball-handling and dribbling was quite unique. They were top-flight athletes, great basketball players, and people responded to that. In 1948, the Globetrotters defeated one of the best white basketball teams in the country. Can you talk about the significance of that victory? The Harlem Globetrotters played a game — it ultimately became a series of games — with the Minneapolis Lakers, then the champions of the NBA. The Globetrotters defeated the Lakers in the first two games, and those games became really important. Some people credit those victories as leading to the integration of the NBA. There’s probably some truth to that. It’s also important to note that at the time, the NBA was a fledgling league and the Harlem Globetrotters were much more prosperous. The Globetrotters actually agreed to play double-headers with the NBA to help the NBA draw crowds. When did the Globetrotters introduce comedy into their games? Why? It’s not until the mid-1930s and 1940s that you begin to see comedy enter their play. If you look at the team’s history as stated on its website, there’s a specific turning point with a game in 1939 in Canada. The Globetrotters were beating the local team and the arena started to become tense with the fear of racial violence. Some of the players decided to do these fancy dribbling exhibitions that dazzled the crowd and released some of that racial tension. That’s the origin story that the Globetrotters organization tell, but I think what that story does is take the creation of these comedic strategies out of an American context. Why would an African American team need to go to Canada to experience racial discrimination? It also makes it seem like these comedic routines were created spontaneously. But there’s evidence to suggest that they started doing some of these fancy dribbling displays and comedic things in the mid-1930s. You have to think about the context. This was a time when minstrel entertainment — shows like Amos ‘n’ Andy — were quite popular in the United States, and a lot of the Globetrotters’ comedic routines were drawn from this minstrel tradition. There’s also a history of clowning in baseball that the Globetrotters could have borrowed from. Their first real “clown” was Goose Tatum, who joined the team in 1946. Prior to that, he had played first base for the Indianapolis Clowns baseball team. When did the NBA’s prestige begin to outstrip that of the Globetrotters? By the mid-1950s, most African American players who had the opportunity to go to either the Harlem Globetrotters or to the NBA were deciding to go to the NBA. By then, the Globetrotters were increasingly focused on their comedic routines and didn’t have the monopoly on African American talent that they had before. This relates to the process of integration in the NBA. There was this idea that fans didn’t want to see African Americans as the leading scorers, as the focal points of the team. So the first generation of African American basketball players in the NBA were defensive players. African American players were aware of those limitations, which may have led them to play for a team like the Globetrotters instead. But when people like Elgin Baylor, Wilt Chamberlain, and Oscar Robertson join the NBA in the late ‘50s, you begin to see African Americans emerge as the star players on NBA teams. The Globetrotters have drawn criticism from some Civil Rights activists. Why? There was a moment when people began to think that a lot of the comedic routines were very racialized, depicting African Americans in an unfavorable light. This was part of a larger cultural critique of those kinds of images. There was the NAACP’s boycott of Amos ‘n’ Andy, and other instances where African Americans were advocating for a depiction of them at their best. And certainly, once the NBA started to integrate, the Globetrotters increasingly relied on their comedic talents because they were no longer drawing the best players. Around a dozen women have played for the Globetrotters. How did they decide to field female players? Lynette Woodard became the first woman to play with the Harlem Globetrotters in 1985. By that time, the Globetrotters were a touring comedic team — they no longer played NBA or college teams. Lynette Woodard was an all-American player, and they had the opportunity to sign her, so they did. You also have to remember that in 1985, there were no options for women to play professionally. So in many ways, that was probably her best chance to make a living playing basketball. 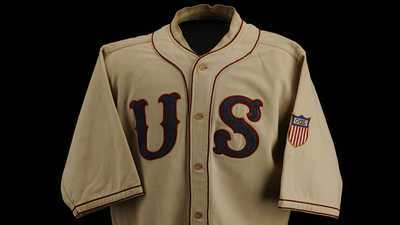 A Baseball Hall of Fame curator shares some of his favorite historic items from the collection. 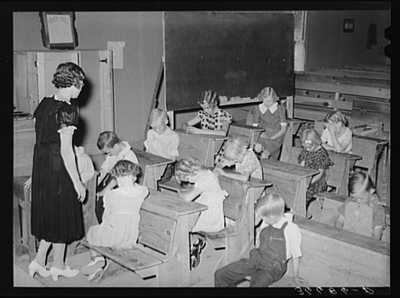 The 1962 Supreme Court case that outlawed school-sponsored prayer in public schools.